There had been lots of excitement from across the family once the date of this event got stamped, and all were looking forward to it. Family days are special, as such moments bring together members of the family who are not easily available. Hanne Howard Fund has grown, and a big number of kids(about 65) are out there either gainfully employed, job searching or still pursuing their post Secondary diplomas and degrees. It is therefore only possible to have a good number of them off from their occupations to visit on such days. HHFL primary children had prepared a talent show, which apart from being used as a fundraiser (please see our other blog post about Tatum) was a warm way of keeping the guests entertained. There was lots of energetic dances, songs, poems, art and crafts exhibition and finger-licking food prepared by the kitchen staff led by Mama Margaret. She has been in the HHFL kitchen since day one, 13 years down the line. Hanne and Ted were very happy to see the children, and listen to them sharing their experiences. Towards the end, a board sitting was convened. 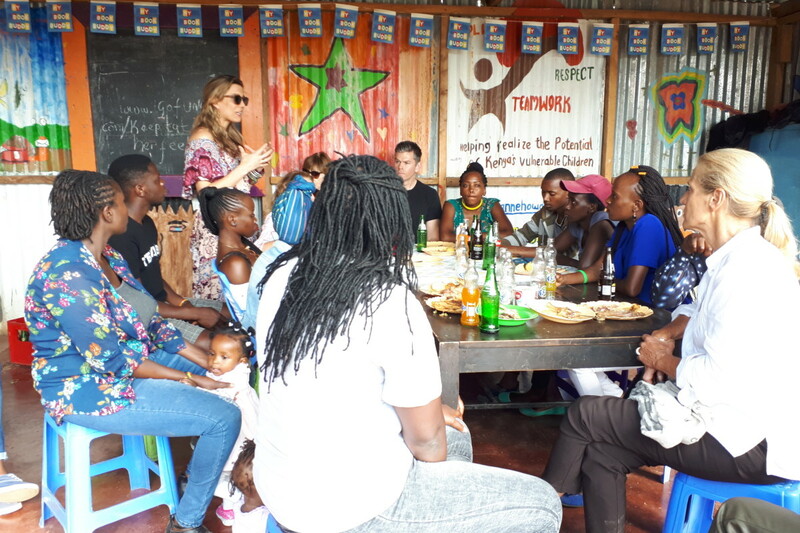 Our alumni - we commonly refer to them as HHFL-WAO (We Are One) sat down and brainstormed on better ways of getting engaged with the HHFL in their giving-back initiative, and all agreed to come together with renewed energy under a new slogan – “KWA ROHO” which is Swahili for “FROM THE HEART”. They have pledged themselves to impact the lives of their younger siblings here from the heart. An email chain reached to us from Victoria Turner through Baba Ted, the name we give to our founder director and the chairperson of the Canadian board – Ted Horton. It was about a little Canadian girl called Tatum. She is in dire need of an operation by the month of April. We shared this story with the HHFL children, for one, as a lesson to them to know that there are many other people in need, and also to open an avenue for them to do the little they can in their own ways and help this little angel. The kids and staff were very touched by Tatum’s story. HHFL primary school kids decided to help in the fundraiser by foregoing their evening fruit which they so much love. They take this daily after school before engaging in extra curricular activities for an hour. When word came around that there was going to be a family day, the HHFL kids organized themselves into groups of 3 or 4. Each group was to work on an item to be featured in a talent show that would be used as the 2nd part of the fundraiser. With all this love, they presented dances, songs, recorder and piano music, poems and an art exhibition after which a collection was done. We have been able to send $120 towards this cause with a lot of love, and it has been such a life lesson to everyone here. Kim Wauchope has been very happy to learn about the HHF kids selfless act, and we here can not wait to read about the progress that our little friend makes during and after the operation. My journey through primary school has been a long struggle in order to complete primary school. Books have been my friends ever since I started Pre School in Hanne Howard Fund. Our preschool in HHFL was known as Tiny Tots back in the day. It was fun drawing and colouring pictures. Tiny Tots is where I learnt how to count, write and read. The teachings and advice from my Tiny Tots teachers are still in my mind. Good morals and principles were also instilled in me when I was young by these same teachers. I never thought that I would ever complete grade eight. I counted the days since grade 1 until I got tired. I watched as my friends from the upper classes completed their eighth grade and I was asking myself when my time would come! Eventually time flew faster than I thought. As I now find myself actually finishing grade 8, I realize how hard it is to achieve excellence. My final primary year has been more tiresome than the other years. This is because we studied for more hours than the other classes. We rarely had time to play and rest. I recently sat for and completed the exams for my Kenya Certificate of Primary Education so that can join Form 1 (or Grade 9) next year. The national exams were fair and I am very proud of the marks I got: 396 out of 500! The most exciting news is that I have been chosen to one of the best girls school in the country, Starehe Girls’ School. This is my dream! This made me the happiest girl in the world. And not only did I get in, but they gave me a full 4 years scholarship! I never thought this would happen to me! 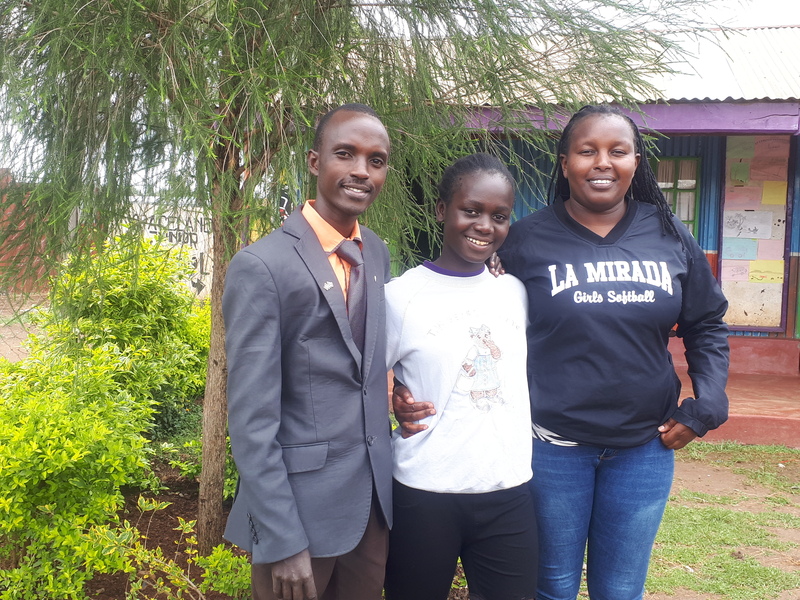 A Starehe Girls’ scholarship means a lot to me. Now I can sit in class without the worries of being sent back home because of school fee arrears. 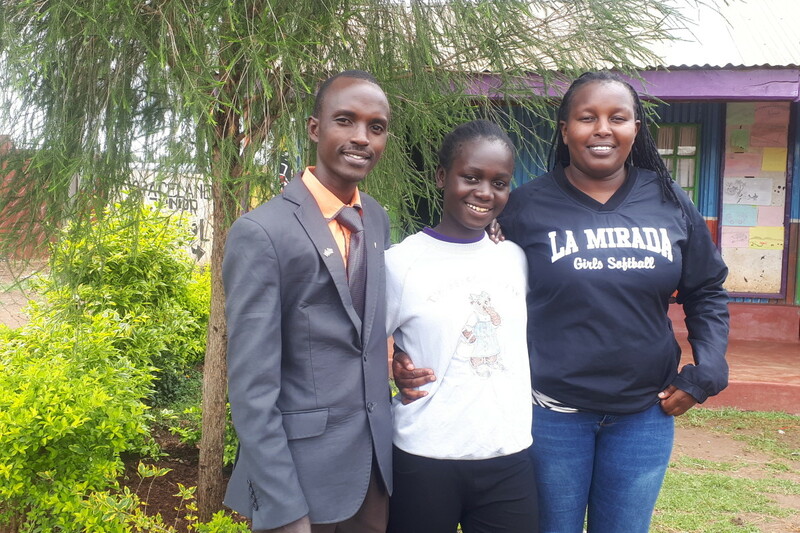 I am very happy to know that I will complete my secondary education without any problems at Starehe Girls’. I really do appreciate the scholarship because many students want these chances but do not get them. I know I’ve worked really hard and I am proud to earn it. I will make sure that I make everyone proud who has been with me through my education. I give huge credit to everyone who has taken part in my education throughout the years. They include Mama Hanne and Baba Ted, Sylvia Walker, Eleanne van Vliet, Judith and Ponder Harrison. They have really put in so much money and effort to cater for my primary school needs. Thank you with all my heart! I promise to make you proud! Thank you HHFL and all the donors around the world for making us happy. HHFL Shines Bright In Inter-Home Talent Competition! Big holiday greetings to you all from the HHF-L kids! We hope you are all doing well and great. I am writing to share with you a very exciting thing that happened on December 7th and 8th, here in Nairobi. About 50 HHFL kids, including myself, attended an amazing 2-day event for children’s homes in Nairobi. This year, four children’s homes participated. There were about 200 children there. 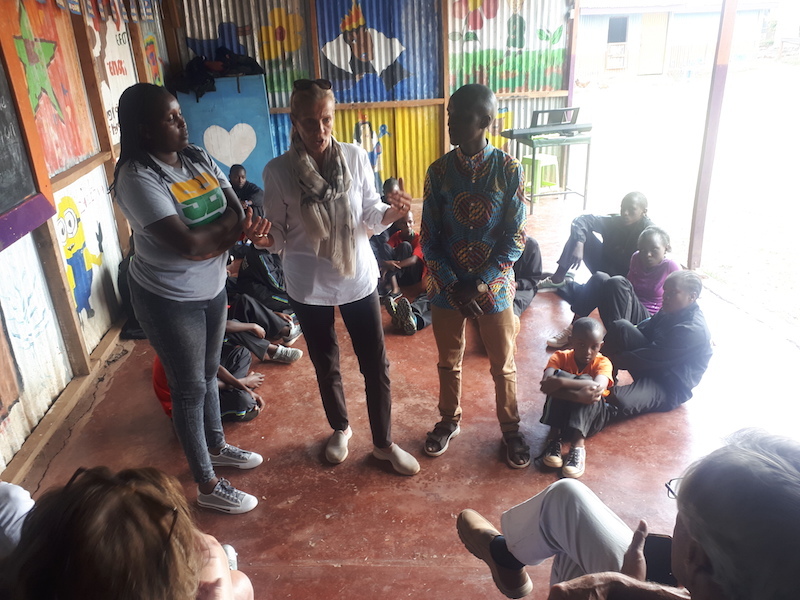 The event was held in Kibera slum (Kibera is the second biggest slum in Africa, and has a lot of poor people and children). The idea is to compete against each other in various activities, from sports to design to art! This is our third year participating, and in past years we didn’t win anything. But this year was different – we reigned victorious for the first time! Here’s what happened. On the first day, we competed in soccer against other homes. In our opening game, we drew 1-1 with one of the homes and we won the second game 1-0 against another home. We were given a walkover for our third game because the opponents were not around. The second event was art and crafts, which to me was very fun because art and crafts is my talent. Most HHFL kids participated in an art exhibition. The judges were so impressed with our art works because they never expected us to be that good in art! The art competition was great because we were being asked to explain our ideas behind our pieces of art work. The third event was a fashion show! There was a creative design category and a fashion show. Eight HHFL kids participants in this event, 2 created fashion designs and were models in the show! They did their best catwalk! On the next day, we started the day with soccer finals. 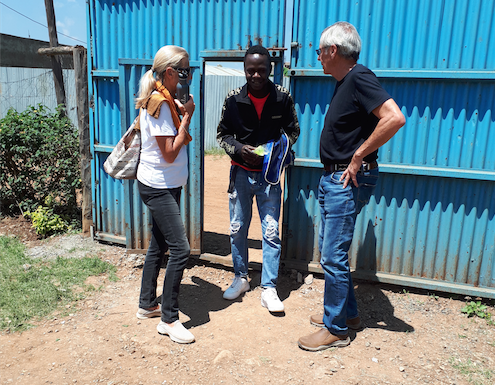 We called ourselves the HHFL PARROTS and we played against another home from Kibera slum. The HHFL PARROTS manage to win the game by one goal! The next event was music and many children’s homes performed, including us. We played the keyboard and recorders playing Silent Night. Then, we sang a traditional folk song in Kikuyu. Our dancers were decorated in traditional costumes and colourful paints that we had made in our art class during the week. We sang a choral verse and also performed a spoken narrative. At the end of the 2 days came the moment we had all been waiting for – the grand winners! And guess what? This time, HHFL came out on top! 1. Soccer : HHFL won 1st prize! 2. Arts and crafts : Top three artists were from HHFL, with me winning 1st prize! 4. Instrumental Music: HHFL won 1st prize! 5. Spoken word: Nicodemus won! I was so excited to be awarded “best artist” in the event and also, I was awarded “best designer” of the event. I designed Snorine’s costumes and she won 1st runner-up in the competition. The judges were so impressed with HHFL and how we had come with a lot of positive energy for the competitions. We were very happy with our performances. 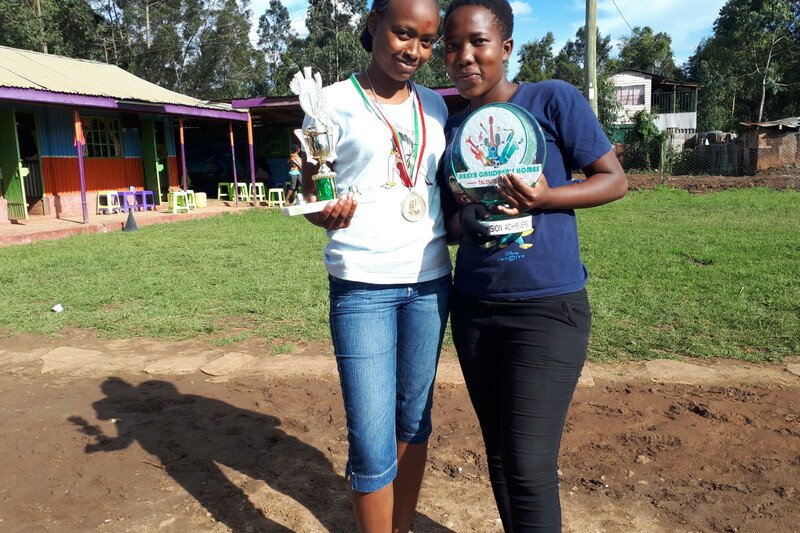 And because of our performances, we won the overall trophy for KENYA CHILDREN’S HOME TALENT SEARCH! It was the best moment – we still cannot believe it! I want to take this opportunity to thank Mama Hanne, Baba Ted and all the donors for all the support you give to HHFL. If it was not for you all, we could not be in the competitions. All we can just say is, THANK YOU AND WE LOVE YOU AND YOU ALL OWN A SPECIAL PLACE IN OUR HEARTS AND WE ARE HAPPY HAVING YOU IN OUR LIVES. I wish you all a happy festive season and prosperous 2019! It is another successful vocational child that HHFL feels very proud of. James Kamau joined HHFL in 2006. He is one of the boys that could not handle high school, and chose vocational course after clearing grade 8. HHFL sent him to Sagana Technical Training Institute where he, alongside other HHFL kids were not fairing very well. We then decided to transfer him to Kinyanjui Technical Institute where he graduated with a grade 3 trade test in motor vehicle mechanic. He worked some jobs as a mechanic but then life took an interesting and exciting turn. He started designing artwork on cars! 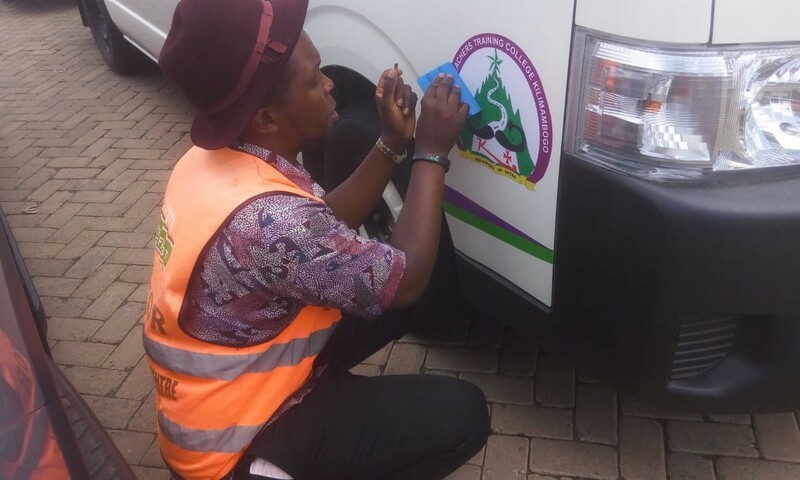 He has been into the branding business since 2017 – with his 1st major job being branding of campaign vehicles for politicians. He has been a brand ambassador with Safaricom and Telkom – Kenya’s leading mobile telephone network companies and Toyota Kenya. He decided to call his branding business Fenske Branding, which is thoughtfully named after his late little HHFL brother Brian ‘Fenske’ who died some years ago from AIDS. He is learning graphic design, which is a vital skill in the branding business. He still does not have a physical premises, but is hiring room in partnership with Brand 254, a bigger branding company that sometimes gives him branding tenders. 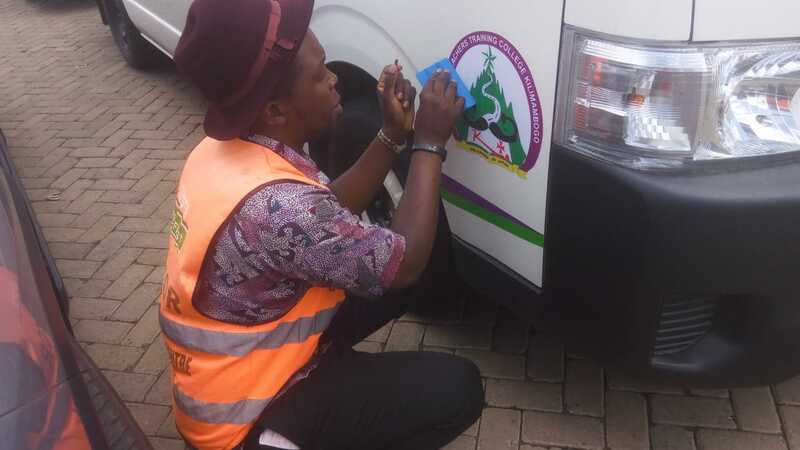 James says he still does occasional mechanic jobs either in his neighbourhood or servicing friends’ cars at a fee but vehicle branding is his passion! He will continue pursuing this as long as there is demand! He visited HHFL on the 4th of December and gave a talk to the kids about the need to be resilient and have a broad perspective to life. 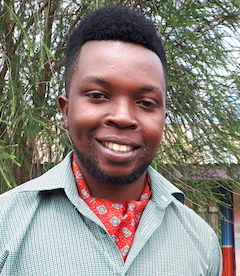 James is a shining example of what can happen in life with vocational school training, an educational path that still carries stigma as being less valuable. Thank you James for paving the vocational way for our younger kids! Hi everyone! 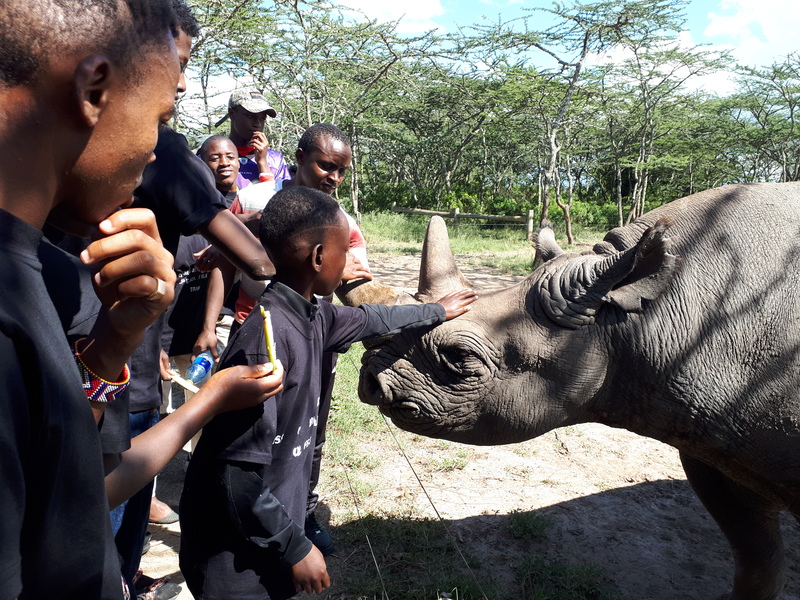 I would like to share with you about the fun trip we had to Ol Pejeta. Teacher Isaiah told us that a really nice couple who visited us at the project, Mr and Mrs Levit, paid for all of us to go! All I can say is wow! We started out our journey very early in the morning. It was a long journey. We first arrived at Thika Super Highway. It was very big with so many vehicles. We then continued with our journey. The second stop was near Aberder Ranges in a craft shop. In the craft shop, we saw some of the most beautiful crafts from Kenya. I could have never seen those crafts if it was not for the trip. After going round the craft shop, we continued with the journey. We were not so far from the park so I had to be alert because I was so eager to see Mt. Kenya. Unfortunately I did not see it! I was so sad that my friend made jokes on me. But I saw the big mountain again when we were having lunch in the park. After 5 good hours in the bus, we were at Ol Pejeta. At the gate, there were so many decorations. We had to stop to be counted and also to pay the park fees. At a distance, we saw zebras. On the way, we saw big the three - elephant, rhino and buffalo! The driver told us that the lion and leopard can only be seen in the morning hours. I was so sad because I wanted to take photos of a lion but I did not lose my hope. We had reached the place that we were going to take our food. The food was cooked by some of us and it was as sweet as honey. After we ate our food, we went to see Baraka the blind rhino. He could not see. 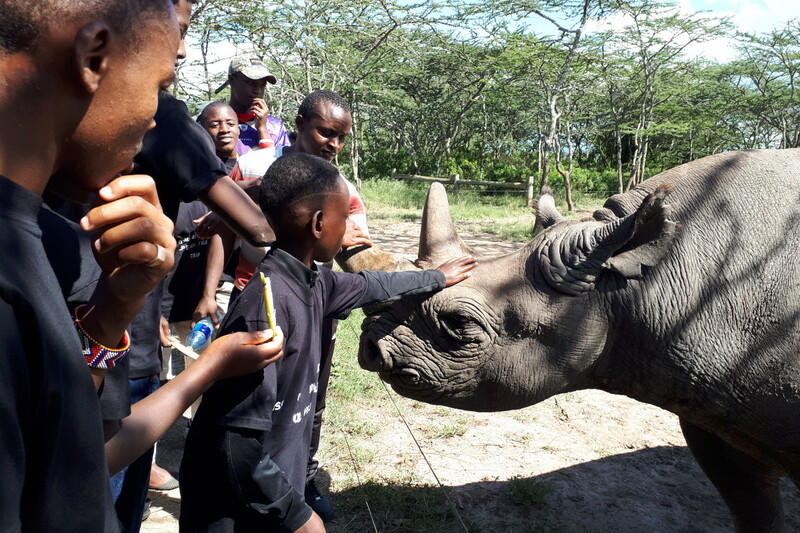 This is because he was fighting with another rhino and got hurt in one eye but before the rangers knew it, Baraka was blind. After that, we went to see some chimpanzees. Some of the chimpanzees are Max, Poko and Lulu. Max did not want Poko to dance so he threw stones at us. We had to go down so that the stone does not hit us. Poko was one of my best animals. I wished I have stayed in the park forever because it was so much fun. I’ve never seen animals like that. I wanted to touch the equator but I did not touch it. I thought that it had gone for a lunch break. But we took picture at the Equator. Thank you Mr and Mrs Levit for making this trip possible for us. I can’t believe how kind they are. They don’t even know me very much and they made this trip for us. It was the best day of my life. Finally my stars seem to be aligning; God knows its about time. It has been a long, hard and exhausting journey mainly because I made it harder than it needed to be. HHFL has given me way more than my fair share of chances. I quit high school during my second year citing mediocre reasons but Mama Hanne, being forgiving gave me another shot and agreed to pay for vocational school (automotive mechanics) for me. I blew it in an unapologetic manner and decided to try my luck in the streets. For two gruelling years they (the streets) were relentless and unforgiving. But that is the thing about exhaustion, you just want to try a different way because the old one, well it is just old and not working anymore. That is when I finally started to comprehend that if I wanted a future I would have to change my ways and approach. I needed another chance! I promised myself this time it was going to be different so unsurprisingly, I crawled back to HHFL to beg for another chance. After one unforgettable hair drier moment, Mama Hanne softened her heart one more time for me. They say the third time is a charm, right? well it was, at least for me. HHFL had strict rules and curfews for me. I lived in the hostel and helped take care of the little ones, I helped in the kitchen, I helped clean the compound and helped with the garden. It was a tough year but I was finally able to embrace this third chance completely. I went back to High school and this time surprised myself and everyone else by actually seeing something through for once in my life! It was long overdue. Since high school I have worked as a casual labourer in the construction industry and as a steward in a restaurant in The Village Market. This last job has opened doors for me broadened my horizons. I learned about bar tending and have my sight set on becoming a sommelier (wine connoisseur). These are not the easiest nor the best paying of jobs by any means but keeping my eyes on the prize, I managed to save enough to enable me to pay for my own college tuition fees. Along the way, aside from gaining invaluable job experience, I’m also receiving a refresher course about respect, adherence to rules and regulations and the importance of principles and values, which is something HHFL puts a lot of emphasis on. All I have done over the years is take from HHFL and its donors and this sits heavy on my heart. Being able to pay for my own college fees and transport is a welcome relief, which fills me with pride and confidence. Currently I am applying for a job in the hotel industry as a bartender and you get the feeling that something’s gotta give and its only a matter of time. I like my odds right now. Thanks also go to the Lord for making HHFL believe in second and third chances! This is why I am looking at a bright future right now instead of being in jail or worse. I am looking forward to making all of you proud and rewarding all of you for believing in me and sticking your necks out for me. 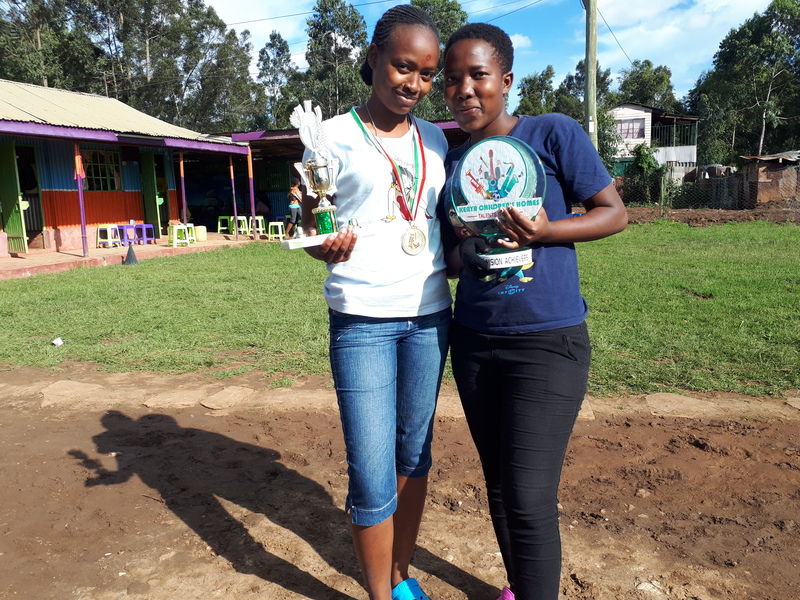 McCANN Agency Wins 2018 Kenya Cup tournament in Toronto! 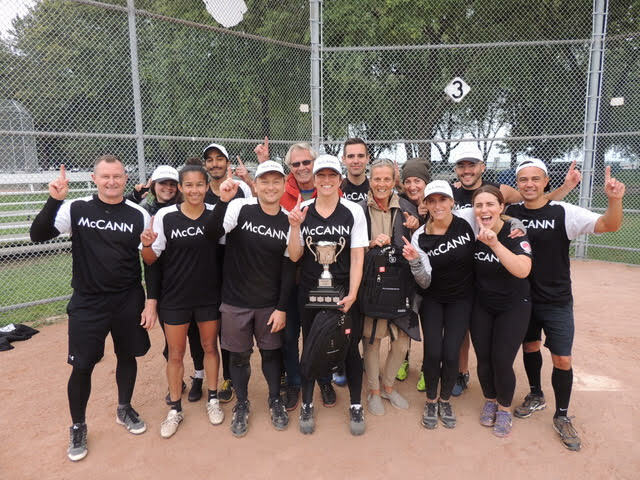 Huge congratulations go out to McCANN advertising agency who took home the big trophy at the 9th Annual Kenya Cup softball tournament in Toronto this year! Organized and spearheaded by Steve Groh, this year’s tournament hosted 35 agency teams from across Toronto Canada who played ball over two weekends in July and August. This tournament is a huge yearly hit with an ever expanding list of agencies who are lining up to participate every year. We are forever grateful for the incredible continued support! This year, the event raised $25,000 to support the ever increasing costs of high school education for our HHFL kids. Because of this tournament, 8 kids can go to school this year. A massive thank you goes out to Steve, the tournament’s fearless, passionate and efficient leader (he started it all 9 years ago!) and all participating teams for your wonderful support. We hope to see you again next year! Way to go McCANN! We were so excited when we heard that we were going to Hope FM to be featured in the kids program for 2 hours! A few Saturdays before the big day on August 4th, we listened to the radio show to know how the program was going to be and we practiced. We practiced how to sing five songs and also sharpened our recorder songs. Four of us were chosen to represent our project. On 4th August we woke up at 6AM to prepare ourselves in the hostel. Before we left HHFL, we prepared some cake and some tea for us to drink, so that we cannot feel hungry. 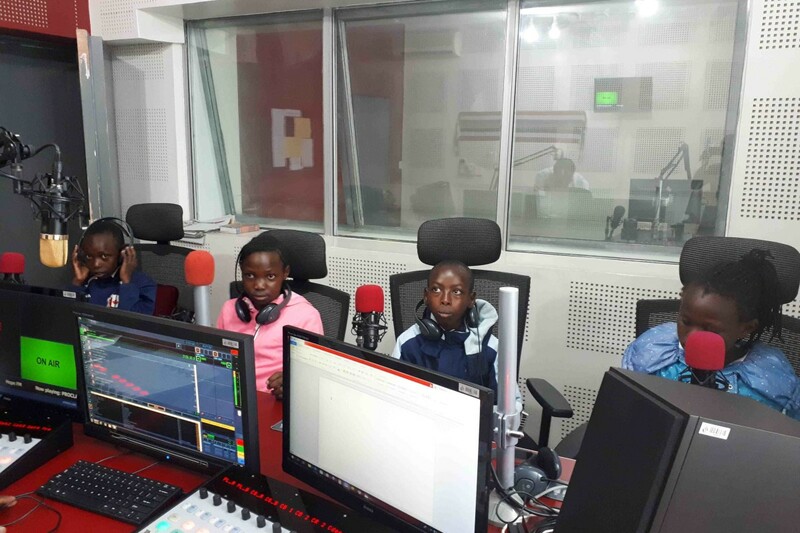 We left the project at 7:00am and we used 40 minutes to reach the Hope FM studios. Before we reached to the studio we passed through Nairobi town. Teacher Isaiah drove the car like lightning so that we would not be late. When we reached the studio ,we saw a watchman standing next to the gate and he opened it for us. We came out of the car and found Uncle Martin, the Hope FM presenter waiting for us. He welcomed us with teacher Isaiah. We entered the studio and Uncle Martin took us to a certain room, which was as clean as a new pin. He went on to prepare the room to record our stuff and he also gave us the rules of what to do and not to do in the studio. Each one of us had a microphone and headphones. Uncle Martin told us to introduce ourselves and asked us a lot of questions. For example what is our favorite color, our favorite animal, the number of teeth we have etc. Cidella was the one who was asked to tell our listeners about HHF and people were very happy to hear about us. There was time for people to call in and share. Alfred, Cidella and I played Amazing Grace and Hot Cross Buns on our recorders. It was the best experience! Thank you for reading. We love all of you! A few of us at HHFL had the most amazing opportunity to train for one week at KEPHIS in June! KEPHIS stands for Kenya Plant Health Inspectorate Service. It’s an Institution under Kenya Agriculture that deals mostly with food security in Kenya. They also support research on how to increase food in Kenya since even the Kenyan population is increasing day in, day out. They also ensure that the food being exported from Kenya is safe and good for human use, protecting the Kenyan Export Market. On export, they mostly deal with Avocados such as Fuete and so many other food crops and herbs too such as rosemary. 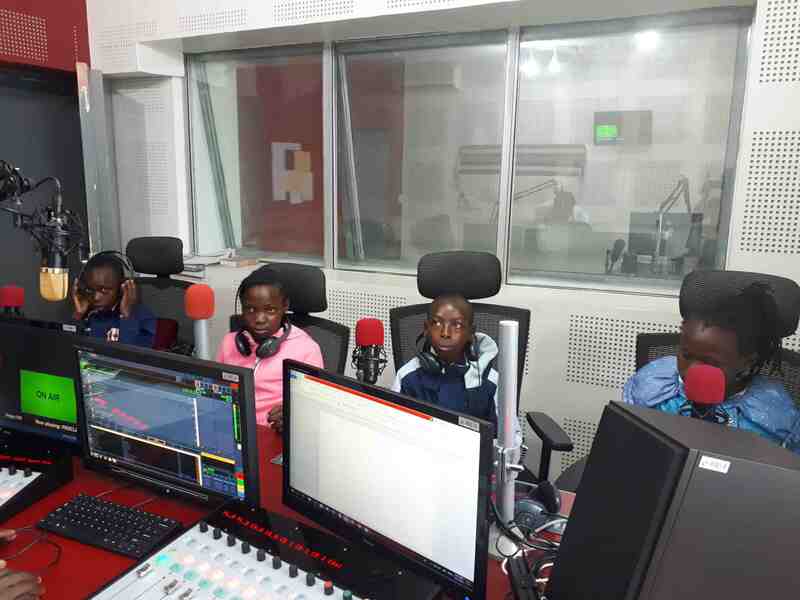 We visited their Nairobi headquarters with my fellow kids being Beatrice Wamaitha, Nicodemus Ndunda, Joseph Kariuki, Asha Kiza and Elizabeth Letoto. We enjoyed a one week training with them and we also got to attend the 2nd Phytosanitary Conference that was held from 4th-8th June 2018. Phytosanity means hygiene on our farms and not only on our farms, but even at our homes too. They organized this conference in order to educate all the Kenyan farmers on how to handle and protect their crops from pests and how they get their food in the Kenyan food market. We learned about all the different challenges being faced by these farmers in their various farms. We learned about pest control and the different types of chemicals that can be used on large scale farming and small scale too including the quantity that’s used, where they can be found and the cost of them. The other thing we learned was about seeds and how we can stop fake seeds being sold in Kenya and how we can deal with issues if you have been given fake seeds. We learned about orange sweet potatoes and their benefits too. 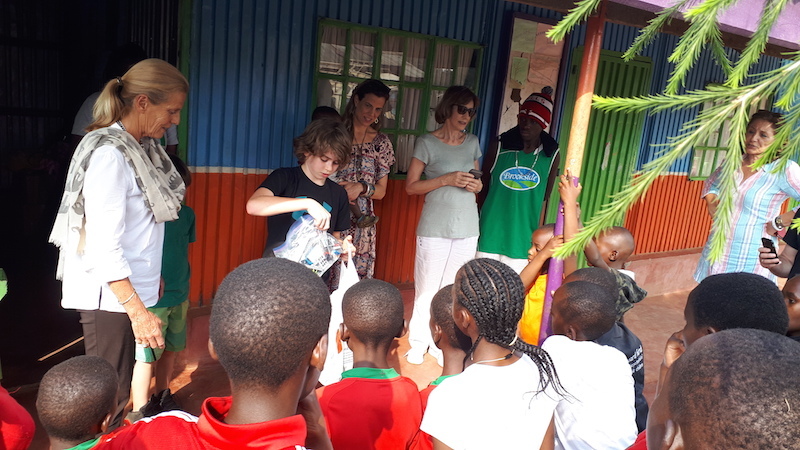 We learned about the herbs and the benefits in the Kenyan Market and outside too. It was such an interesting training! We never knew there was so much to learn with agriculture and farming. We even realized that there is a lot of opportunity for jobs and that it can be a very cool career!